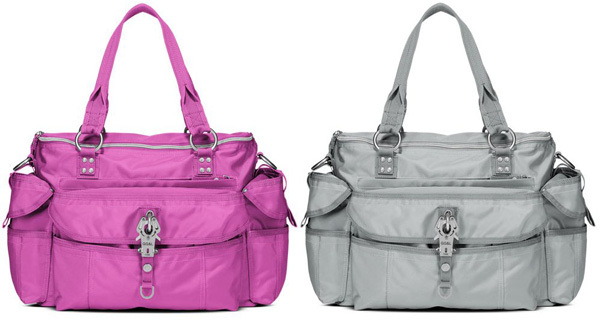 Have you been longing for a designer baby bag without a hefty designer price tag? We’re excited to tell you, we’ve found just the bag! European accessories company George Gina & Lucy have released a gorgeous line-up of affordable luxury bags that can easily transform from baby bag to regular large handbag or an overnighter all with a swift shift of contents! A nylon bag means your shoulders won’t be in need of a deep tissue massage when fully loaded with baby paraphernalia as nylon is naturally lighter than leather. 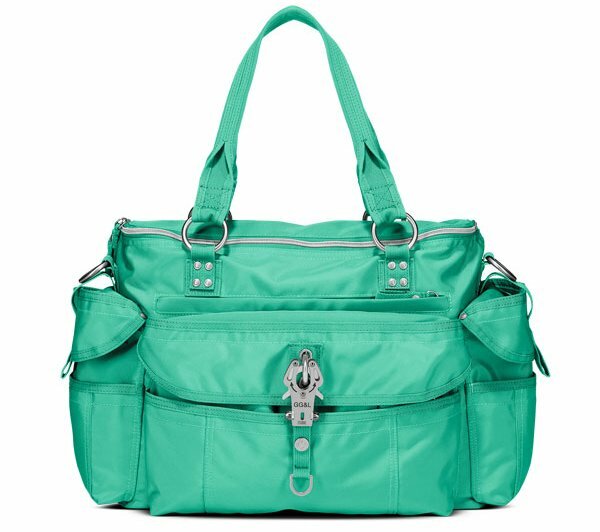 The George Gina & Lucy Nylon Baby bag is priced $229 and available in a whole array of amazing bright colours with intriguing names including King Kong (black), flamingo (pink) and Peak-Ok (aqua green), just to name a few. Organising all that you need can’t get any easier, with a bounty of compartments and pockets with nylon zips. Each bag comes with a coordinating padded change mat and is packaged in pristine fashion in a gorgeous gift box. George Gina & Lucy bags are available online from Laila.